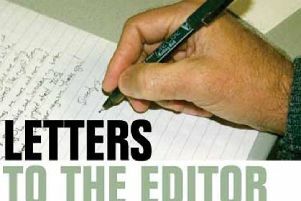 In her letter about the closure of beds at Rothbury Community Hospital, Katie Scott reminds us all of the fragility of the resources upon which life in rural communities depends. Regional management can, and does, make rapid decisions with far reaching consequences without prior consultation. The closure of the Rothbury beds was such a step. This was Northumberland CCG’s response to apparent under-use of the Rothbury facility. At a time of national and regional shortages of beds, this was the not the time for closure. It was the time to ask what was preventing the beds from being fully used, and to ask how their use could be improved so as to contribute to the overall needs of our region. Such resources, hard fought for in the past, do not come easily and, once removed, the process of recovery is also hard. That is what we in Rothbury and Coquetdale are now discovering. We are experiencing the long and difficult process of consultation, appeal and higher level review, all in an attempt to overturn what we believe was an unjustified decision originally made in haste. The bureaucratic steps are slow and ponderous, the latest one in the higher echelons of Government being particularly so. Fainter hearts would shrink from the task, or run out of steam, allowing such management to continue unchallenged down its path. Not only does this lengthy process make it difficult to maintain a head of steam, but it also makes the restoration of the beds appear more difficult as local medical practice evolves to cope with their loss. But the sense of outrage and loss in our community is too great to allow a decision by default. The long wait for the Secretary of State’s decision will never dampen the community’s determination to reverse the decision to close the beds in Rothbury.